The Facebook data leak scandal this year has forced a rethink of striking a balance between convenience and data security. 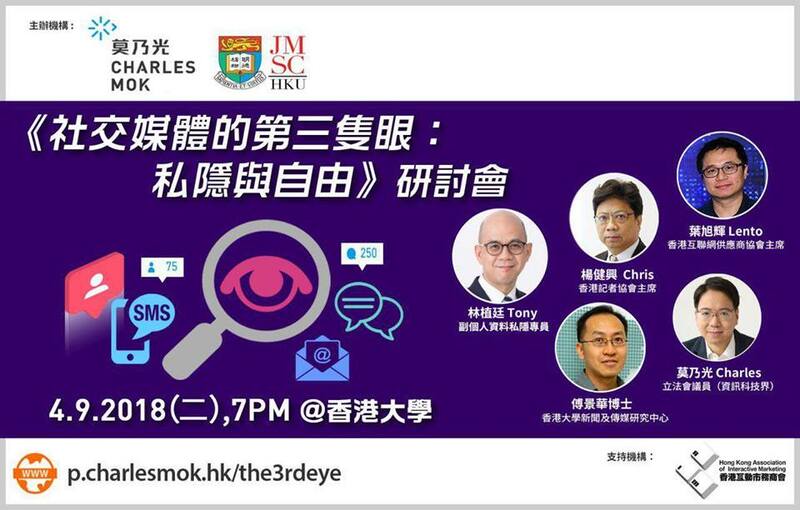 In Hong Kong, what average people can do under the Personal Data (Privacy) Ordinance? And what measures should be taken by the authorities? Meanwhile, free speech online has been facing challenges: from general issues including national security, hate speech and copyright, to censorship by rising powers like China. Is Hong Kong now limiting citizens’ speech rights in cyberspace? The seminar brings together representatives from the legislature, industries, academia and regulator to discuss about key issues and potentials to better the internet governance in Hong Kong. Please click on here to register.